Black and white t-shirts are bonafide wardrobe essentials and I own way too many to count. One time I left a friend quite bemused because I insisted on changing from one style of white t-shirt to another before leaving the house (it made all the difference, trust me). I can’t stop buying basic t-shirts and am always on the look out for the one. You know, the one style that fits juuuuuust right and is super comfortable to boot. My current favourite style is the ‘Anyway’ tee by Assembly. 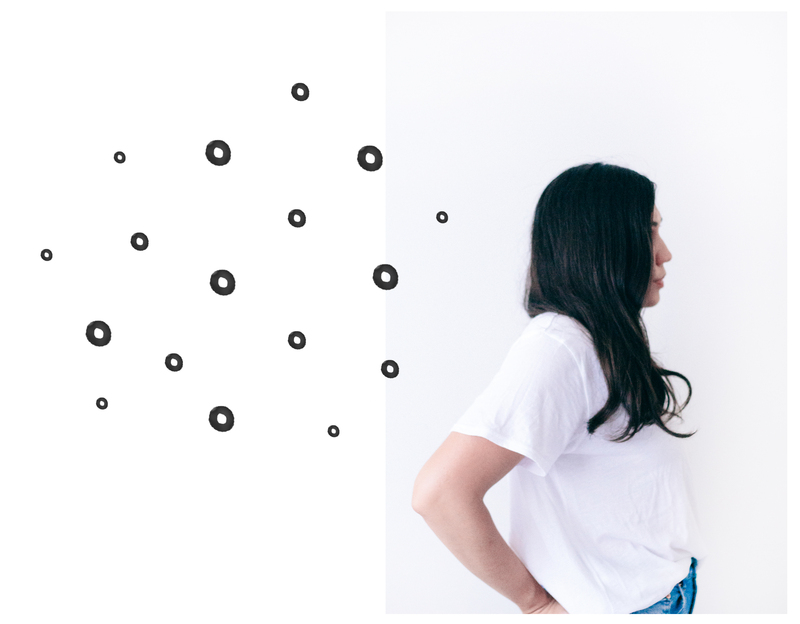 They’re loose-fitting and boxy, making them perfect for tucking into jeans and pencil skirts. I picked up a black and white pair a few weeks ago and they’ve been on high rotation ever since. 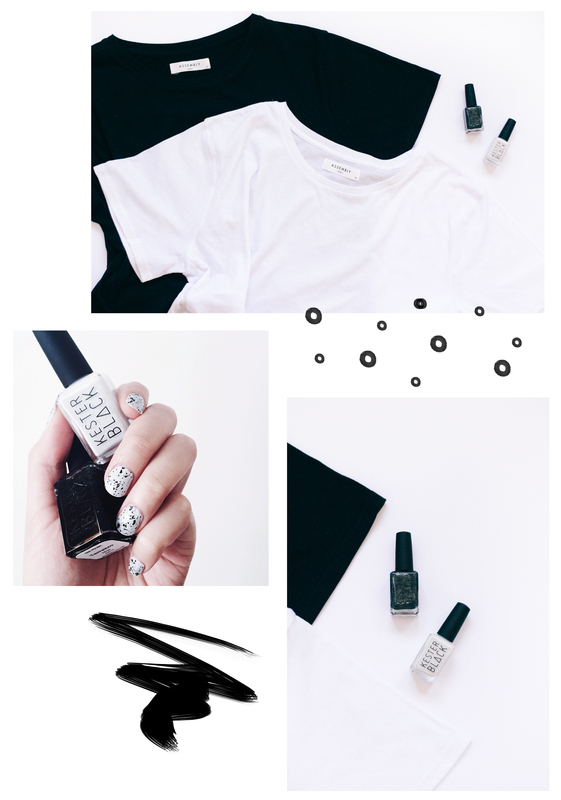 Another black and white combo that has been on high rotation are the ‘Stone‘ and ‘Terrazzo‘ nail polishes from the Kester Black x Beauty EDU collaboration. Together they’re a match made in monochrome heaven. Your nails look so fantastic! Love the colors and pattern. They're so fun. Always look a bit different with each try too. Black & white are so essential, I totally agree. Love your nails! I totally know what you mean, I'm always looking out for the perfect white t-shirt too. Finding one that's cut right and not too see-through is a mission in itself! Yes! Also ones that will keep their shape after washing. How aboit white sneakers? Are they your thing? Can never keep them clean!